When a planet changes sign, we experience a concentrated retrospective of what’s occurred during the phase that’s ending. This means we may be facing tests in the areas of our lives that are most affected by its travel, and this transit through Libra will have a huge impact on human relationships. On October 29, Saturn moves into Libra, ending its sojourn through Virgo — which began in September of 2007. Some components of Saturn’s move are important, so you’ll want to look back over the last two years and see if you can discern Saturn’s influence in your life during that time. Here’s the scoop: Saturn will stay in Libra until April 6, 2010, when it transits back into Virgo. Then Saturn will move forward once more through Libra from July 21, 2010 to October 5, 2012. This influence is significant because Saturn is the planet that rules the material world. It affects just about everything, on a very practical level. Saturn can be quite a taskmaster, and it will test you in the area of your life that is hardest-hit by this transit. But the benefits can be enormous: accomplishment, mastery, and self-confidence are the blessings of Saturn, so read your Sun and ascendant signs below to figure out what to expect out of this major influence. Scorpio: As Saturn touches your unconscious mind, it’s time to get in tune with your inner life, and this is all about removing the psychological blocks that have kept you from realizing your potential. Taking time out from your busy schedule for introspection, therapy, meditation, or dream analysis will enable you to find clarity. Resolving the past will also help you to move forward. Sagittarius: True friendship is important right now, as Saturn impedes and then deepens your social life. This may feel like a lonely time at first, while your superficial acquaintances say goodbye, but the people who share your values and support your aspirations will be there for you. It’s also time to evaluate your goals, and take some steps to realize your dreams. Capricorn: Accomplishment and recognition of your expertise are the gifts of Saturn in your career sector. But first, you’ll need to prove your persistence when roadblocks get thrown in your way. You may also need to take the lead, in order to realize your goals. Being clear about where you’re headed will help you achieve your aspirations. Aquarius: Your spirituality takes center stage as Saturn clarifies and empowers your beliefs. It’s time to get in touch with your soul through spiritual practices, whatever that means for you. You may also get the urge to share or expand upon your wisdom, through teaching or taking a class. Exploring different cultures can broaden your knowledge as well. Pisces: Clarifying your sexual needs and healing emotional wounds will be the gifts of Saturn. You may need a period of abstinence to heal any issues surrounding intimacy. On a practical level, it’s time to get a handle on your finances, and pay off some debt. No more loading up your credit cards! Being disciplined about money will bring financial empowerment. Aries: Saturn hits your partnership area, which means you’ll be tested in your attitudes about marriage and commitment. It’s time to examine any fears or mental blocks you have about being in a long-term relationship. You might need to find a balance between “me” time and “we” time, and if you’re solo, facing up to any commitment issues will help a long-lasting love to manifest itself. Taurus: It’s time to get real about your health and work. If you’ve become lazy — or you aren’t eating right — Saturn may give you a wake-up call about your health so you will take better care of yourself. Being disciplined about your work routine can result in accomplishment later on, as well. The trick is to find that balance between responsibility and relaxation. Gemini: Saturn’s stopover in your romance sector means you’ll be taking love more seriously. If you feel like some of the fun has left your life, remember that you’re headed toward a deeper love connection. It’s all about quality — not quantity. Your relationship with your kids may be tested, too, or perhaps you’ll embark on a deeper commitment to your creative side. Cancer: Family issues may weigh heavily on you as Saturn touches down in your home-life sector. But any problems that arise have been brewing for a while. It’s time to set some limits, and find a balance between family obligations versus living your own life. Don’t take on more than you can handle. You may get the urge to streamline materially, too, and enjoy a simpler life. Leo: Manifesting your power through words will be the challenge (and the ultimate gift) of Saturn. Any blocks that arise in your communications will be a test of your clarity. But getting others to understand you is only part of the picture. You’ll also need to listen deeply to what others are saying, in order to experience a true sharing of ideas. Virgo: As Saturn lands in your money sector, you may feel a lack of abundance — at first. This is a test of your values and resourcefulness. Discovering new ways to make money will help you realize that the Universe always provides. Perhaps most importantly, establishing a balance between giving and receiving will help you to manifest prosperity. Libra: Saturn in your sign can feel like a huge weight on your shoulders, but the potential rewards are truly awesome. Self-respect will come from knowing yourself, and being the master of your destiny. To make you stronger, challenges will arise from others who want to tell you what to do. Staying centered in who you are — while nourishing your relationships — will bring fulfillment. Whatever your sign, remember that you can handle any tests that come your way, and that the challenges are there to align you with your soul’s purpose. Share your relationship challenges with others; it might just help! Are you gearing up to pass life’s tests? 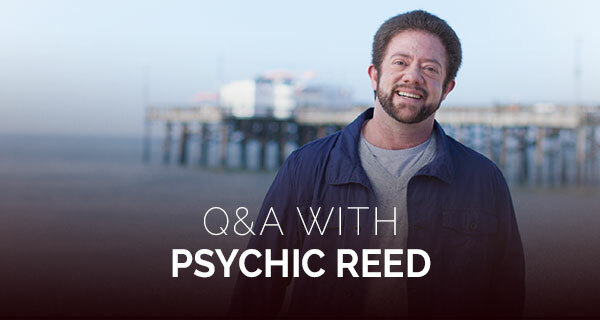 Talk to a psychic! Call 1.800.573.4830, or click here now.